Soon, teens and young adult may no longer be able to pick up extra cash as pizza delivery drivers (or be frozen for a millennium on a phony delivery call). 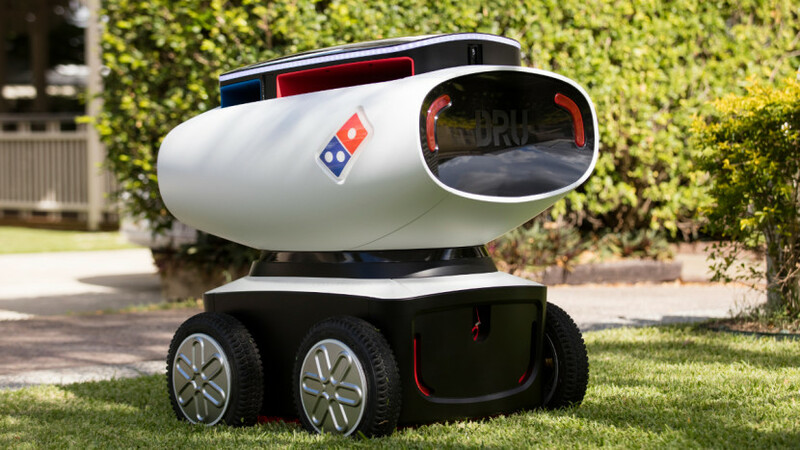 Domino’s Pizza Enterprises Ltd. has created the world’s first autonomous pizza delivery vehicle. Yes, that’s right, a robot that will bring your Domino’s pizza straight to your door. On March 17, Domino’s Robotic Unit—as known as DRU— had its global launch in seven different countries: New Zealand, Belgium, France, the Netherlands, Japan, and Germany, as well as Australia where the robot was developed. Australia is currently testing the first DRU prototype. DRU has been “purpose built with sleek, refined forms combined with a friendly persona and lighting to help customers identify and interact with it,” Domino’s said in a statement. In conjunction with Marathon Targets—an Australian technology startup that creates robotic target practice units for the Australian military—Domino’s Australia spent months developing the prototype in their DLAB. It’s essentially a $30k [$23k US] military-grade robot refitted for pizza delivery. According to Lifehacker Australia, DRU weighs about c.419 lbs (190 kg), has a height around 36 inches when closed (91 cm) and near 47 inches (119 cm) when fully extended. The robot can travel up to about 12 mph (20 km/h), is water tight and weatherproof, and uses a LIDAR sensory system to detect and avoid obstacles in its path. Under a special permit from the Queensland Department of Transport and Main Roads, DRU has completed some customer deliveries in semi-autonomous mode to ensure the robot can comply with the relevant legal requirements and regulations that are currently in place for autonomous drones. For the moment, DRU will continue to undergo trials in Australia, but “DRU is cheeky and endearing and we are confident that one day he will become an integral part of the Domino’s family,” said Domino’s Group CEO and Managing Director, Don Meij.